The Mola al-Movahedin predatory governmental Institute disguised as a charity is another example of the mullahs regime’s and IRGC’s dominance over Iran’s economy. They spend Iranian people’s plundered properties and assets to advance the evil intentions of warmongering and the spread of fundamentalism and terrorism around the world as well as for guaranteeing the survival of Velayat-e faqih regime. The so-called “Charity” of Mola al-Movahedin, registered in Kerman in 1987, owns 100% of Mahan Airlines. The two main founders of the institute were Hossein Marashi (the Kerman’s governor) and Seyyed Yahya Jafari (then Kerman’s Friday Prayer’s Imam). Later, 15 individuals, including Hossein Arabnejad, one of the former IRGC commanders, were introduced as the board of trustees. Notably, Mola al-Movahedin institute grew swiftly and is currently a shareholder of more than 30 major companies and invests in various projects. The institute has invested in establishing special economic zones of the New Arg, and Sirjan. It also invested in Mahan Airlines, airport construction hotels, service centers, entertainments, and sports centers. In addition to owning a 100% of Mahan Airline’s shares, 50% of Kerman Khodro’s shares are under the control of this Institute in 2014, the Institute’s capital was estimated at 350 million dollars. The remarks of Mola al-Movahedin officials, as well as those of the government officials, clearly show that this institution has enjoyed the support of the government since its foundation. It is only cloaking as a private institute. Hossein Marashi, the former governor of Kerman and the main founder of the institute, stated: “What we do is generally something that cannot be decided and implemented by the private sector”. According to a member of the regime’s parliament in a very complex process and by using its influence in the government this institute has seized more than a thousand hectares (10 million square meters) of lands between Kerman and Mahan to create a tourism area. The contract, which was signed in the presence of Kerman’s governor at the time and the board of directors of the institution then, 318 hectares of land (3 million and 180 thousand square meters were handed over to this looter institution free of charge and 700 more hectors at a price of 16 Tomans per meter. In 2012, these lands were sold to people at the price of more than 30 thousand Tomans per meter (That is about 1900 times higher than the initial price). 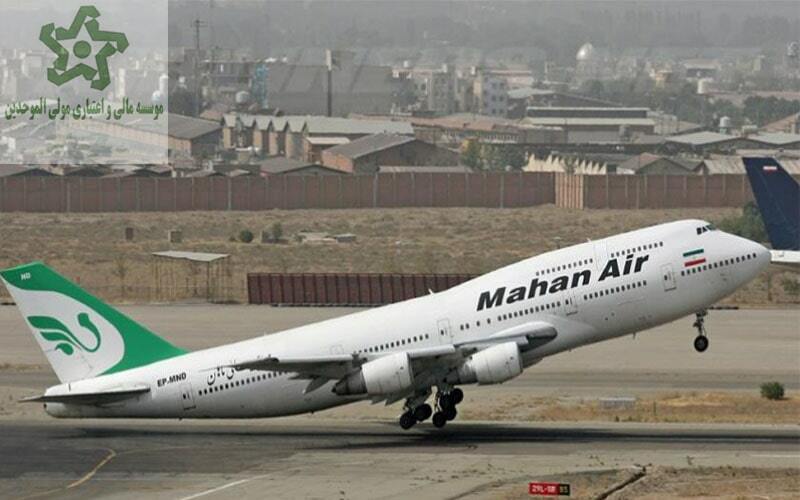 As stated, Mahan Airline was Iran’s first private airline. It is owned by the so-called Mola al-Movahedin Charity Institute which belongs to the Iran Revolutionary Guard Corps (IRGC). To prevent such actions by the Iran regime, as the Iranian resistance has emphasized times and again, the IRGC and its Quds Force, and the MOIS must be blacklisted to be deprived of the funds needed for their warmongering and terrorist operations around the globe.